hallo, beschäftigt sich hier noch niemand mit dem Wert? Silberproduzent und kein ganz kleiner..
11.09.17 13:26 #108 Coeur Mining (CDE 9,26$) übernimmt JDS Silv. "In 2018, Coeur expects to produce 36.6 - 40.0 million silver equivalent1 ounces, consisting of 12.8 - 14.4 million ounces of silver, 355,000 - 375,000 ounces of gold, and 23.0 - 28.0 million pounds of both zinc and lead." "Full-year 2017 silver equivalent1 production, also the highest in Company history, totaled 39.4 million ounces, which was 9% higher compared to 2016. Full-year silver production was 16.4 million ounces, 11% higher than in 2016 and at the high-end of the Company's guidance of 15.3 - 16.6 million ounces. Full-year gold production was 383,444 ounces, 7% higher than in 2016 and in-line with Company guidance of 367,000 - 392,000 ounces. Production growth was driven primarily by the Palmarejo mine, where 2017 silver equivalent1 production increased 64% compared to 2016." 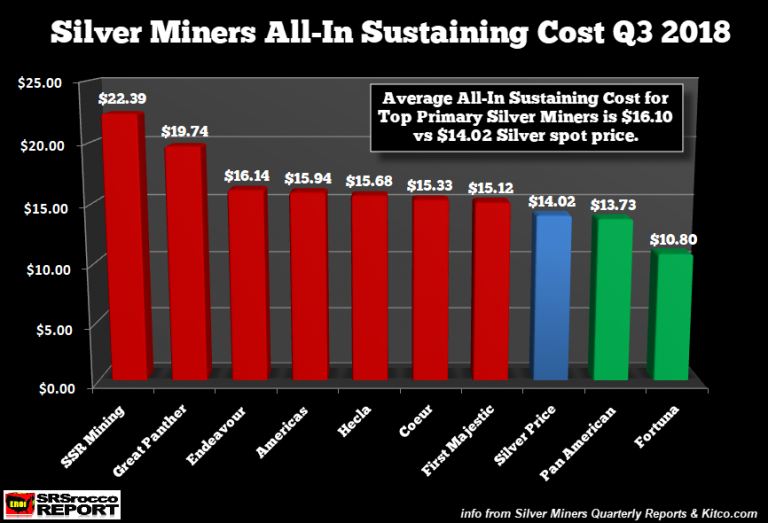 or 8.5 million silver equivalent1 ounces (10.4 million ounces based on average spot prices during the third quarter)3. "The Company expects to produce 36.1 - 39.5 million silver equivalent1 ounces (44.0 - 48.0 million ounces based on average spot prices during the third quarter) in 2018, consisting of 13.0 - 14.3 million silver ounces, 363,000 - 382,000 gold ounces, 13.0 - 23.0 million pounds of zinc and 11.0 - 18.0 million pounds of lead." Der größte Verlierer war Coeur Mining mit einem Verlust von 53 Mio. $ in diesem Zeitraum. Sogar der größte Silberproduzent in der Gruppe, Pan American Silver, meldete einen überraschenden Verlust von 9 Mio. $ im dritten Quartal 2018. Unter Chance-Risiko Aspekten einer der interessantesten Edelmetallwerte aktuell. 04.04.19 12:18 #132 das stimmt!